After what seemed like a reversal from the strong bear market for the entire crypto-market, many bullish investors found themselves initially taking profit from what appeared to be another Double Bottom Reversal. However, when it came time to re-test the neckline, the ETH-USD market decided to continue its move down. 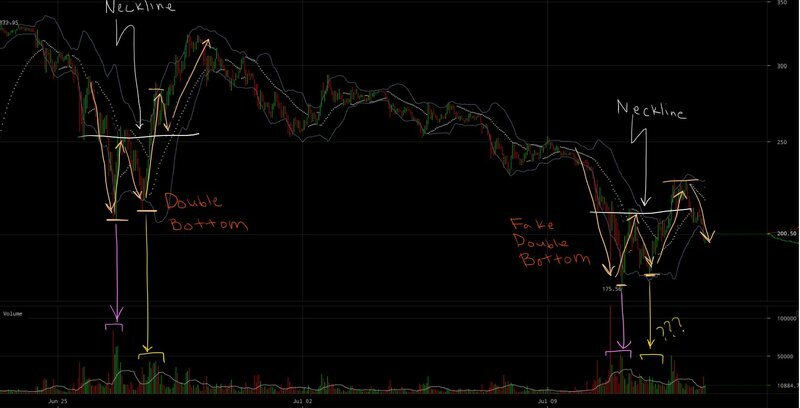 So why did the Double Bottom Reversal, outlined in a previous BTC-USD analysis, not yield the results during yesterday’s rally? In the article referenced above, several criteria outline the price projections one can expect from a Double Bottom Reversal pattern. One of the most crucial aspect of a Double Bottom Reversal is the volume supported on the two lower peaks of the pattern. In the figure shown above, the left example of the Double Bottom pattern is support with obvious spikes in volume where the market attempted to make a new low. However, in our case, we see a pattern that looks like a Double Bottom, but lacks the required volume to really send the reversal pattern in a significant bullish rally. The current bearish period is showing no sign of divergence — each relative low made in the market is coupled with a low on the MACD histogram. 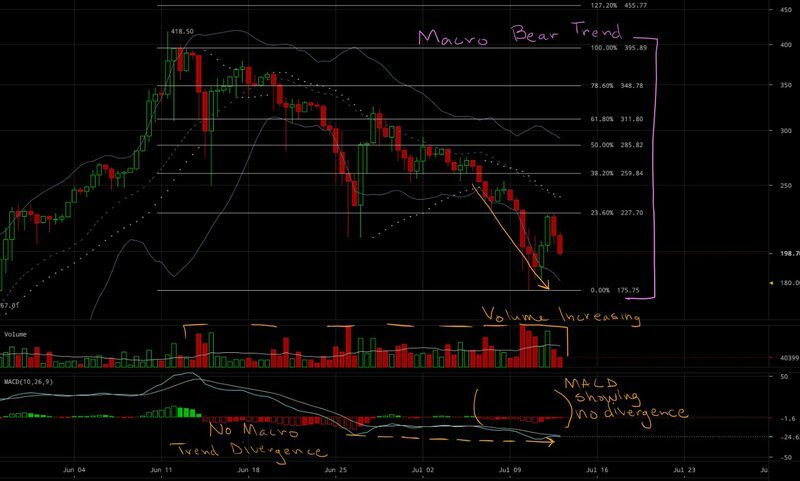 Most important, the macro bear trend shows maintained downward momentum by the way the signal line / moving average have made a new low (see the orange, dashed line). At the time of this article, the market is finding major support and resistance levels along the Fibonacci Retracement values of the macro Bear trend (see pink notation in the image above). The fake Double Bottom Reversal propelled the market back up enough to test the 23 percent retracement value before ultimately pivoting with relative ease. On the macro scale, the next major line of support lies at our previous low: $175. It will be a hard-fought battle as this is a line of historic interest within the lifetime of the market. It’s entirely possible that the market won’t make it back down to to the 0 percent Fibonacci Retracement values, but, given the downward momentum outlined on several market indicators, it seems far more likely than not. 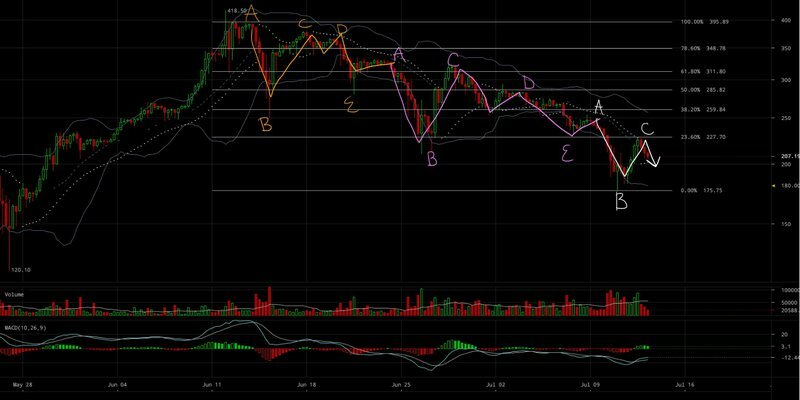 With the massive Head and Shoulders (outlined earlier this week) on the BTC-USD markets looming in the background and testing key support levels, one can only speculate just how far the crypto-market will continue its downward move. A fake Double Bottom Reversal formed on the smaller timescales, trapping many people in a bullish position. 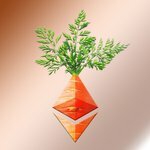 On a macro scale, the ETH-USD is maintaining its downward momentum and continues to test Fibonacci Retracement values. 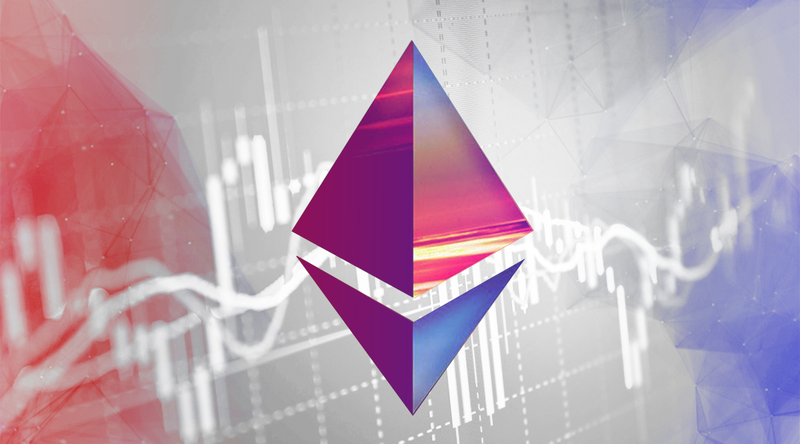 Trading and investing in digital assets like bitcoin and ether is highly speculative and comes with many risks. This analysis is for informational purposes and should not be considered investment advice. Statements and financial information on Bitcoin Magazine and BTCMedia related sites do not necessarily reflect the opinion of BTCMedia and should not be construed as an endorsement or recommendation to buy, sell or hold. Past performance is not necessarily indicative of future results. Aerospace engineer turned crypto-market analyst. 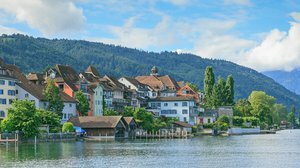 Bitcoin Schmitcoin became popular within the subculture of the Reddit communities and now posts his daily thoughts and market outlook via Twitter and his regular stream on Twitch.tv.